Benefits of Being a Travel Writer – More Than You May Think! There are many benefits of being a travel writer, that’s for certain. Traveling to destinations near and far, exotic and urban, warm and cold. Trying new, crazy things, like bobsledding on an Olympic course, zip lining high above the ground below, flying along the Road to Hana, or swimming with whale sharks. Traveling is an adventure, and I’m thrilled that I’ve followed my dream to be a travel writer – to experience just these types of things, and to share with you. One of the best benefits I’ve found in being a travel writer, though, is meeting other writers. Whether on group trips or at conferences, it’s when I’m with a group of people who understand what I do – why I’m constantly taking pictures and tweeting, Instagramming, or Facebooking. Why I’m feverishly taking notes on my iPhone. Who fire off questions as often as I do, wanting to get the facts straight to tell a good story. I’m constantly inspired by my fellow travel writers – hearing their stories of where they’ve been, what they’ve done, and for whom they’ve written. Through conversations and time spent together, story ideas pop up, many laughs are had, and friendships are forged. It’s fun when planning travel to know that we may be able to meet up in each other’s cities! We stay in touch, primarily through social media, and try to arrange trips together, introduce each other to different destinations, and support each other’s work. We meet when laying over in the same airports. And, occasionally, we team up, as Christy from Ordinary Traveler and I did when we visited North Vancouver Island, and we have more in the works! When I started travel writing, I met ‘70s-game-show-host-turned-travel-writer Geoff Edwards (No Spin Travel) on my first press trip – a cruise out of New Orleans. Over the next 12 or so years, we’d check in with each other, on the projects we were working on, on the new outlets we were writing for. Geoff was always so supportive of me and my writing, and an inspiration. He passed away last month, and will certainly be missed, not only as a travel writer, but for the wonderful person he was. Since that first trip, I’ve traveled often and have met – and been inspired by – many amazing people along the way. Just a few weeks ago I was on a trip in Belgium with writers from the UK, Paris, Canada and Belgium – quite an international group, and quite a lot of fun! Meeting writers isn’t always face to face, though. It’s amazing how inspiration strikes when scrolling through my Twitter or Facebook feeds. In fact, through Twitter, a group of seven of us came together and we’ve been co-hosting #girlstravel chat every Monday (2 p.m. ET, 6 p.m. GMT) for a year and a half! The power of social media! 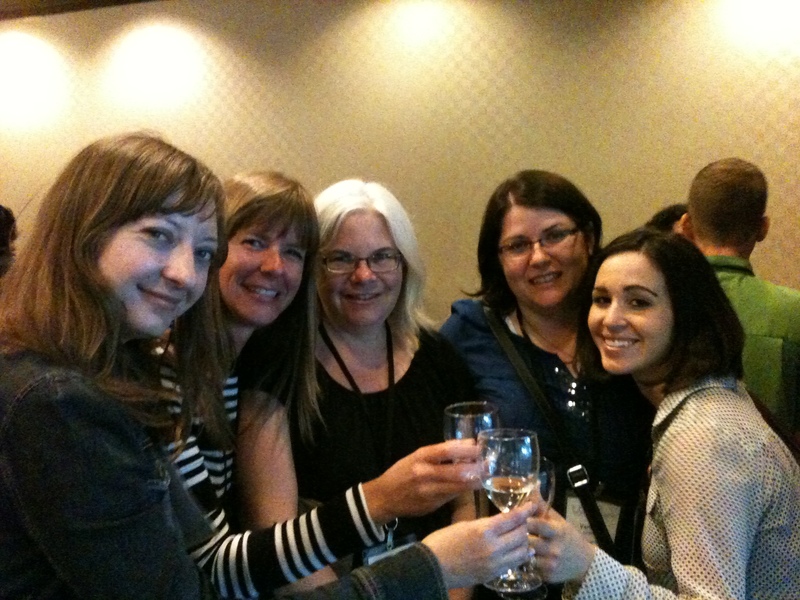 #girlstravel co-hosts Pola, Vanessa and Beth, with GirlsGetaway.com’s Dian, at TBEX Toronto ’13. So that you, too, can be inspired, here’s a list of sites of those who I’ve connected with over the years, and whose writing I think you’ll enjoy, too! Ad-lib Traveller – #girlstravel co-host! Jetting Around – #girlstravel co-host! 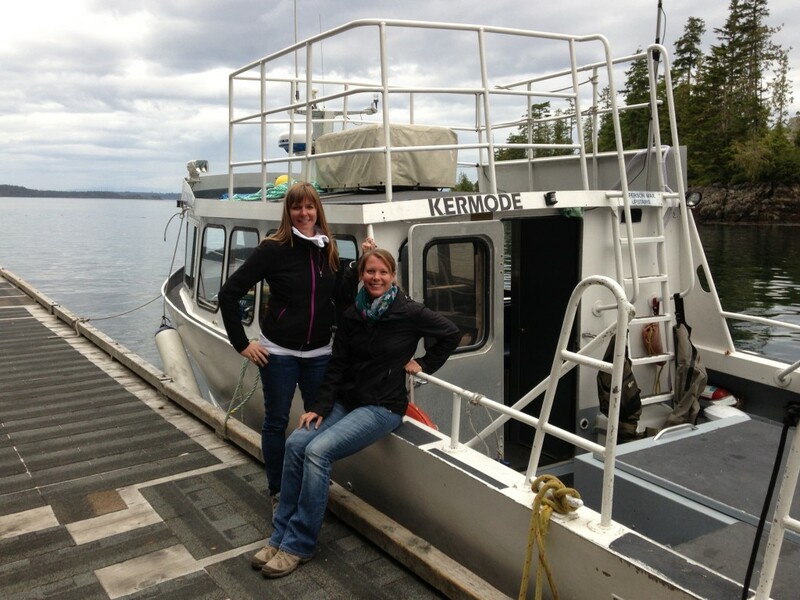 Maiden Voyage – #girlstravel co-host! Mrs. O Around the World – #girlstravel co-host! Go Girl Travel Network – #girlstravel co-host! TurnipSeed Travel – #girlstravel co-host!